Buying a new outboard (or two) is a huge financial commitment. Here are a few of the considerations experts make when recommending new power. 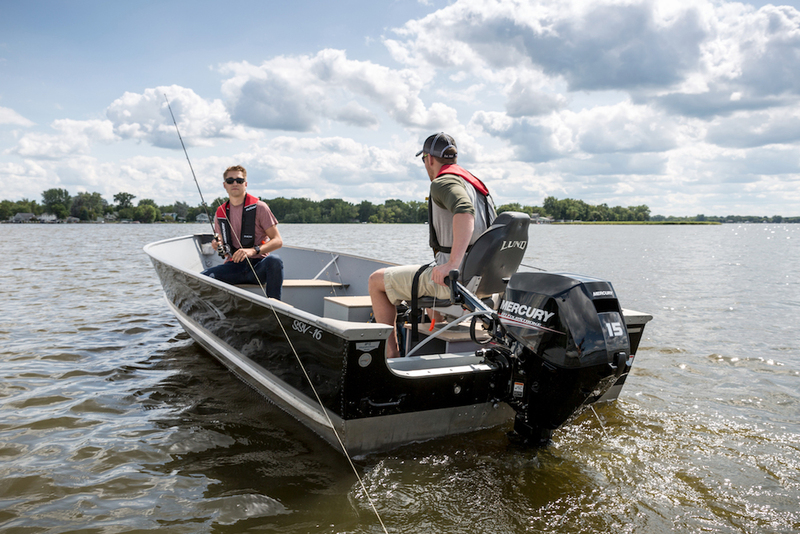 The twin 200 HP direct-fuel-injected two-stroke outboards on Wally Szeezil’s Contender 27 have logged 900 hours in their nine-year lifespan. Well-maintained two-strokes are capable of running longer, but Szeezil’s starboard engine began faltering intermittently last year, which got him thinking that he may soon have to repower his 2001 center console. 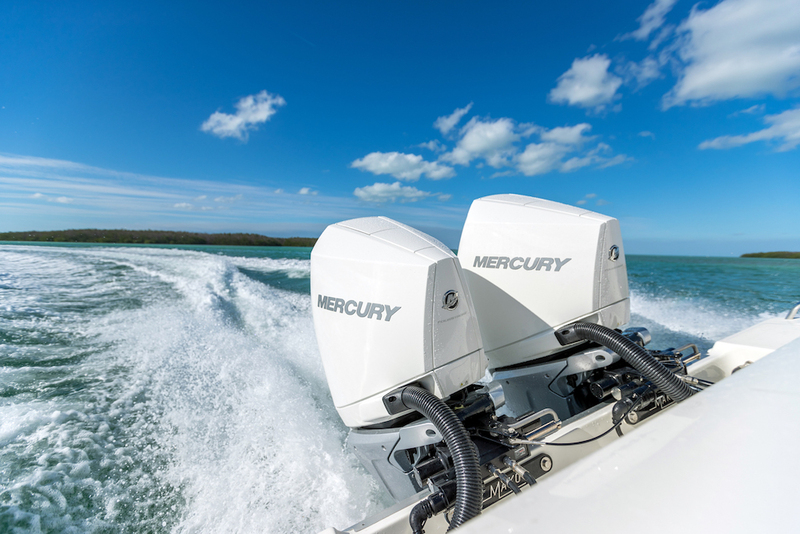 New outboards can give an older boat a new lease on life. 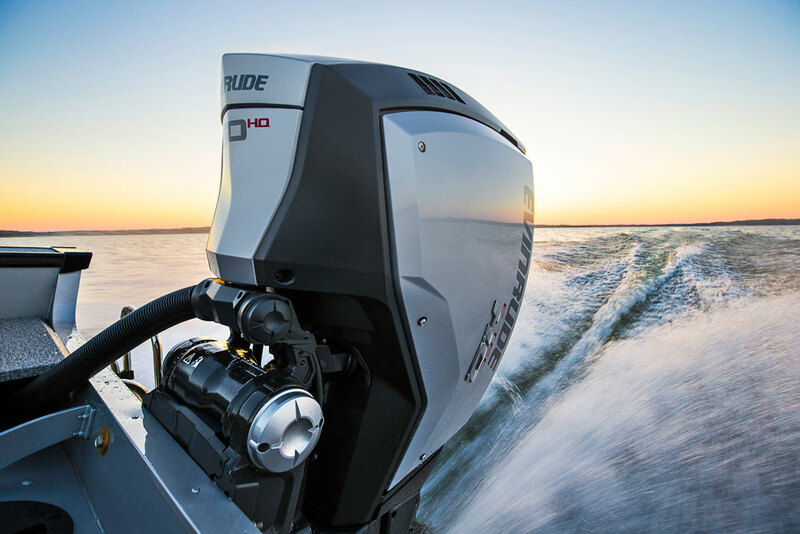 Retail prices for outboards in the 250 HP to 350 HP sizes run from the mid $20,000 to the mid $30,000 price range. It’s sometimes possible to save a bit by re-using old controls (if the engine is coming from the same manufacturer as the old one and the pieces-parts match up), but few owners want to make an investment this big and still have old parts involved. 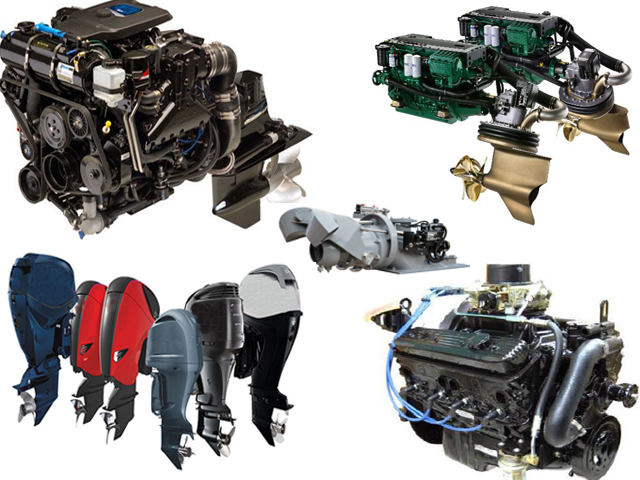 Even if you find a great price on a new outboard, repowering is a major investment — and is much more expensive than it used to be. “In the mid-’90s you could repower for $9,000 to $10,000,” says Jimmy Luttieri, owner of Suffolk Marine in Babylon, N.Y., on Long Island. Today, repowering with outboards is triple that and potentially even more. Price is just one of several factors for boat owners considering repowering. Engine age, hours of operation, maintenance and service record, and its history, including how hard it was pushed, all play a part in the decision. The owner must also consider the boat’s age and structural integrity, and the condition of related components, such as wiring and steering. And let’s not forget about choosing a propulsion package. One engine or two? More horsepower or less than the current power plant? 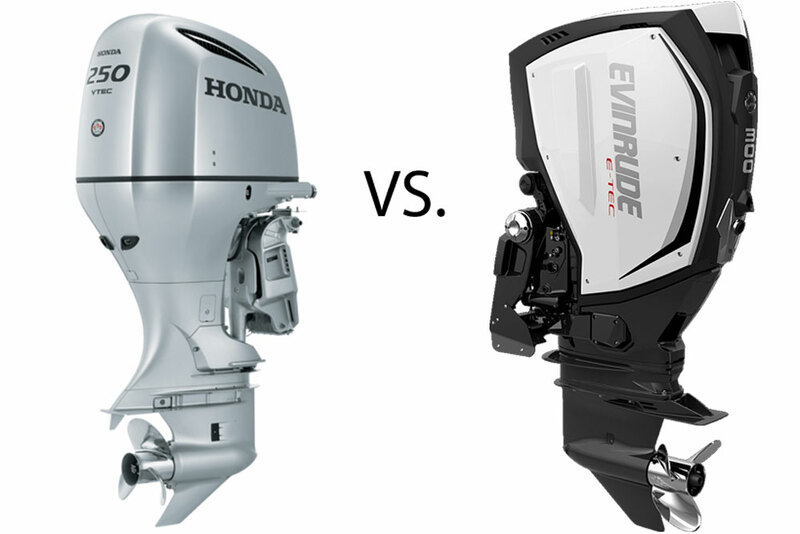 Will you go with two-stroke outboards versus four-stroke outboards? 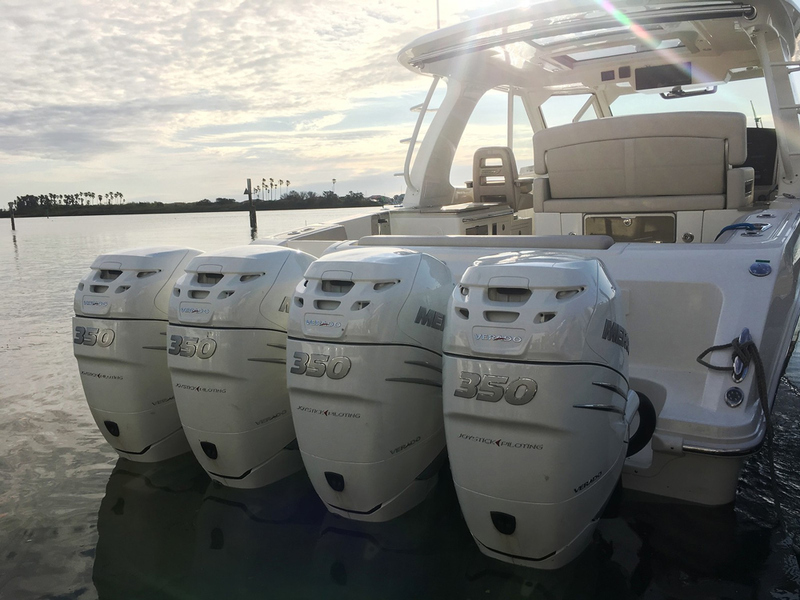 Putting new outboards on an old boat may be the only way to keep using it – but it’s not likely to increase the boat’s value as much as the engines cost. 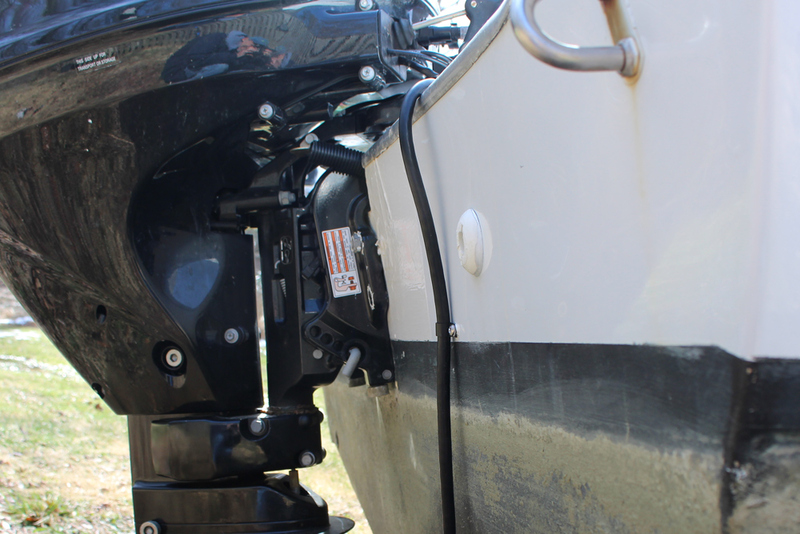 Transoms need to be inspected for cracks, particularly around the outboard motor mount. The yard can also use a moisture meter to check the transom for water intrusion. In addition, Luttieri will tighten the engine mounting bolts and if they start “pulling into the fiberglass,” he says there is probably significant moisture in the transom. The transom of a mid-’80s 24-foot SeaCraft that H2O Marine was repowering this spring had to be replaced to safely hold a new 250 HP Suzuki four-stroke, says Owen. This repower was part of a complete refit. 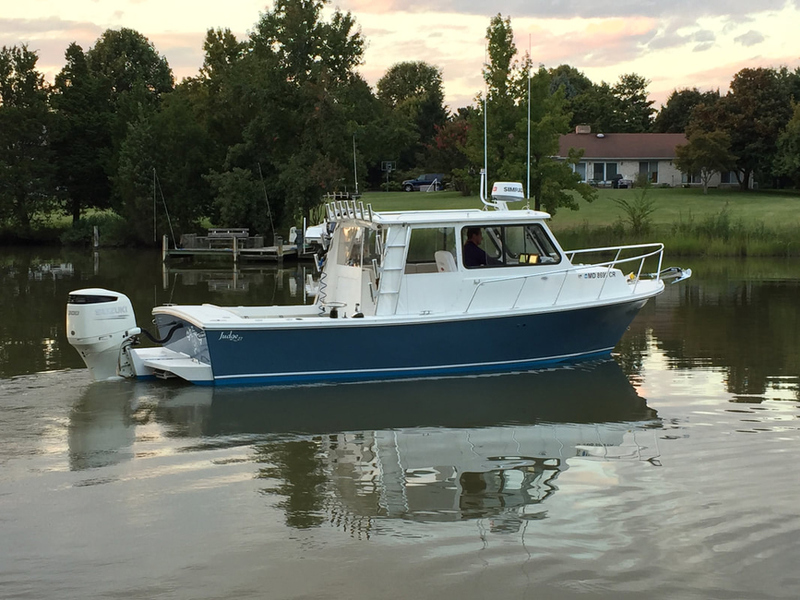 “The boat has a whole new stringer grid, new console, upper and lower stations, new tower, a new fuel tank, everything,” says Owen. Keep in mind that with a new engine, other components will likely need to be replaced as well. 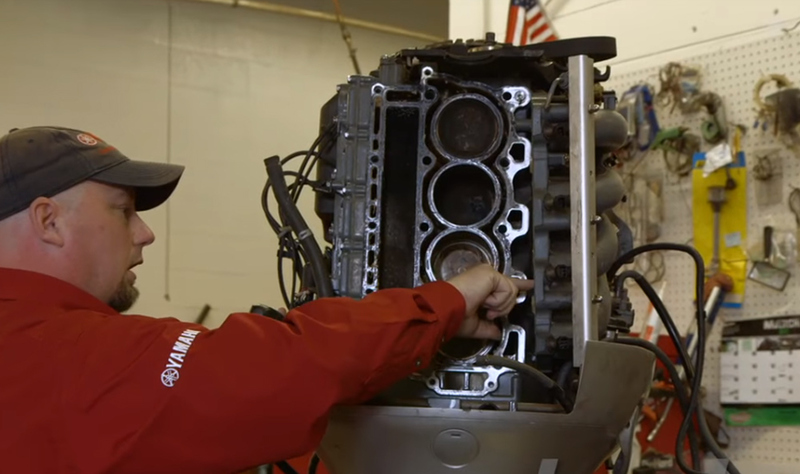 “You have to remember that the engine is linked to the rest of the boat, so it won’t work if the wiring shorts out or the batteries are dead,” says Soundings technical consultant Erik Klockars, who has done more than 100 outboard repowers. 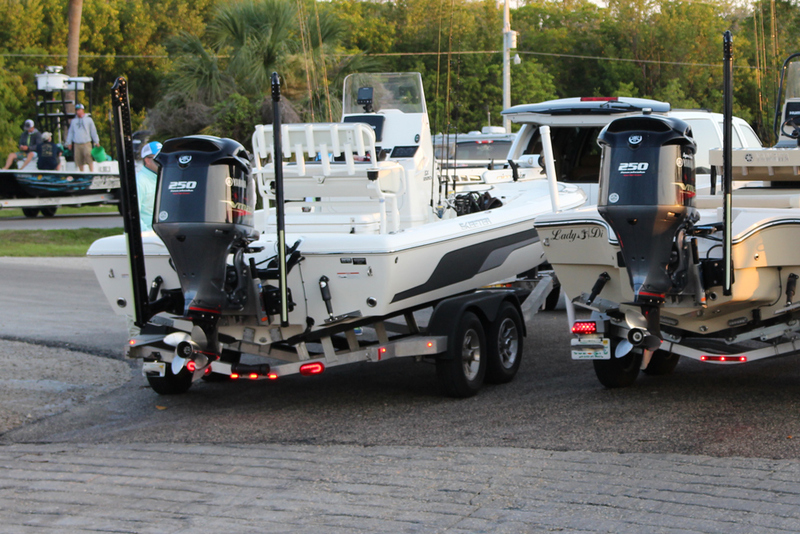 How do you know when to stop spending money on your current outboard and begin saving for your next? There’s probably no need to give up on your engine if you have to replace a trim assembly or a gearcase, but damage to the powerhead, which could be caused by overheating or water in the fuel, might not be worth repairing, according to Klockars. There’s a point at which repairing an old outboard no longer makes sense, and that point is often reached when the powerhead needs replacement. Rebuilding an old outboard might seem like a good way to save some money, but it is a questionable move, says Shriner. “The bottom line is you still have a lot of internal parts that are worn and will give you trouble down the road,” he says. Shriner warns that a combination of external issues, especially those involving corrosion, may be reason enough to consider repowering. The maintenance and care of the engine is another important consideration. Shriner had two customers — both commercial users — with identical four-strokes. One religiously followed the manufacturer’s maintenance schedule, changing the oil, replacing the anodes, and flushing the engine. “He had over 4,000 hours on them. He swapped them out and sent them down to the BVI, and from my understanding they are still being used,” says Shriner. The powerhead on the other customer’s engine was corroded at 1,000 hours. “It was junk — it was gone,” says Shriner. “I said, ‘OK, show me the receipts from the anodes. Show me receipts for oil changes. Show me what you’ve done for maintenance.’” He couldn’t. The engine’s operational history needs to be factored in, too. “If the motor has been run with its tongue hanging out of its mouth 90 percent of the time, it’s going to have a shorter life expectancy,” says Owen. Rigging with maximum power is a good move in the long run, since those engines won’t work as hard as smaller powerplants to attain the same cruising speeds. At Johnson’s Boatyard, the rule of thumb is repowering with no less than 80 percent of the Coast Guard horsepower rating. “Going from a 225 to 250, dollar-wise, is not significant,” says Shriner. “You’re better off running an engine at 3,200 RPM than 4,200 RPM, both from fuel economy and longevity standpoints.” Plus, an underpowered boat will likely struggle to get out of the hole and, in general, will accelerate slowly, he adds. 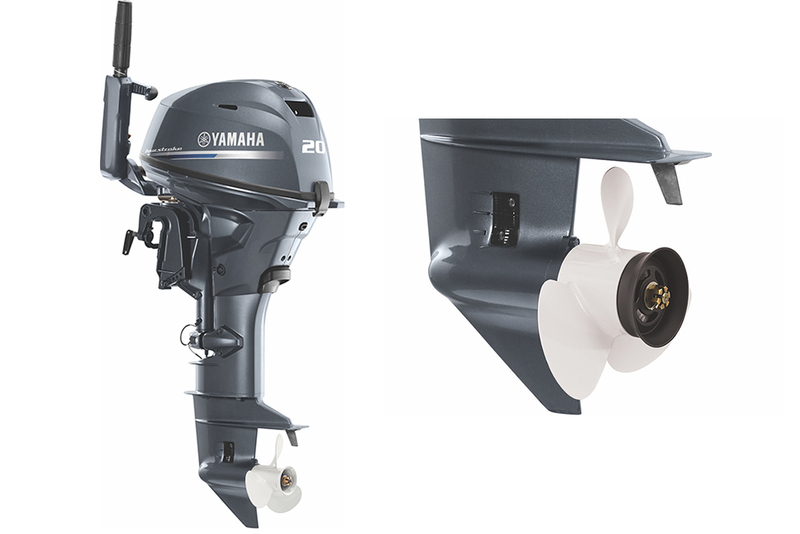 Yamaha describes in a recent e-newsletter the performance improvements when a pair of its new 4.2-liter F300 4-strokes replaced a set of 3.3-liter F250s on a Grady-White 330 Express. And the F300s are lighter, weighing in at 558 pounds each, while the F250s weigh 602 pounds apiece. With the F300s, the boat gets out of the hole quicker, planing in six seconds compared to 10 seconds with the F250s, according to Yamaha. One Outboard, or Twin Outboards? 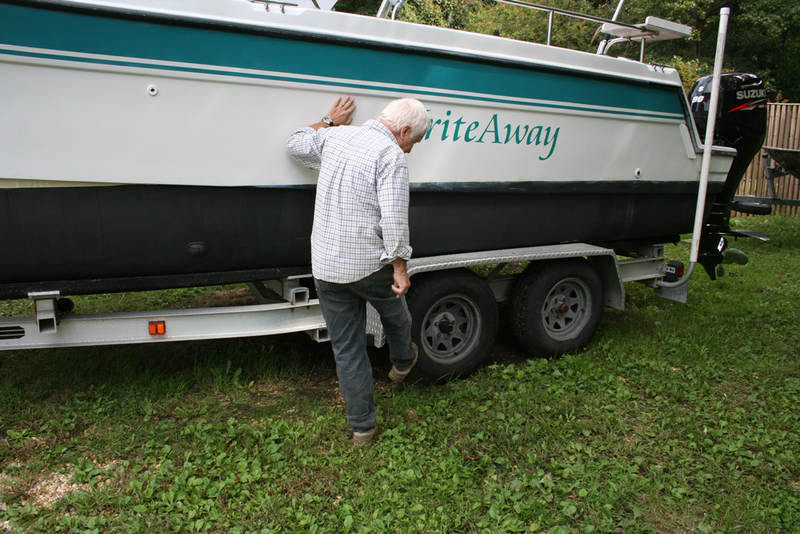 The boat owner faces yet another decision in the repower equation: going with one or two engines. 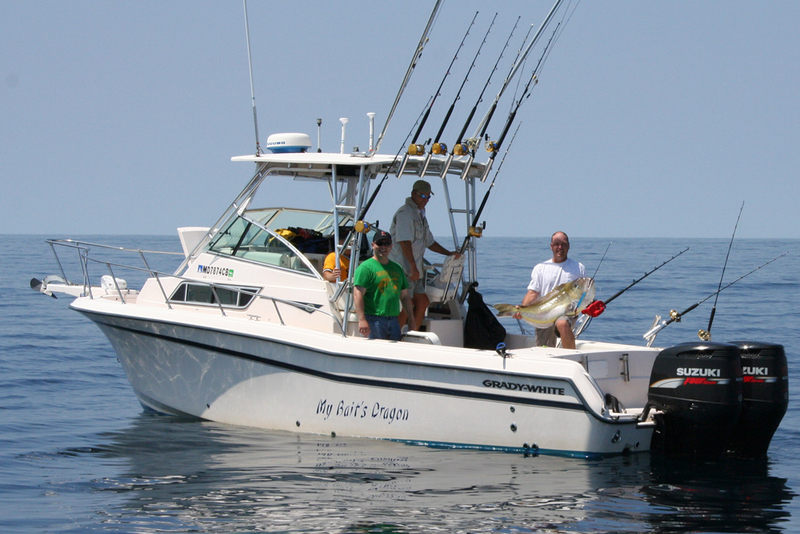 The emergence of high-powered outboards has allowed more boat owners the option of transitioning from two to one. Today’s bigger outboards mean many boats that would once have carried twins can be rigged with a single larger outboard engine. Szeezil runs his Contender 20 to 30 miles offshore in the Gulf of Mexico, and once a year he shoots over to Bimini from Port Everglades, Fla. — a 53-mile trip. The single or twins question was a no-brainer for him. Editor's Note: Compiled by Chris Landry; this article originally appeared in the July 2010 issue of Soundings Magazine. This article then published on boats.com in August 2010 and updated in June 2018 by Lenny Rudow.